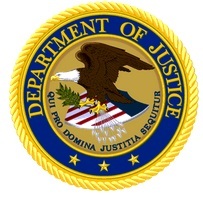 A federal jury has convicted a former information technology official with the Department of Commerce of conspiracy to pay and receive bribes, and acceptance of bribes by a public official. 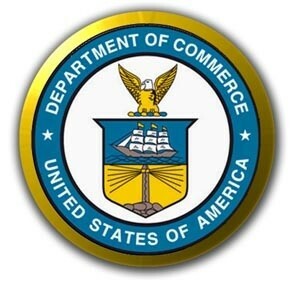 According to court records and evidence presented at trial, Raushi J. Conrad served as the Director of Systems Operation and Security within the Bureau of Industry and Security (BIS), a branch of the U.S. Department of Commerce. In that position, Conrad was designated to oversee and manage a project whereby computer files were transferred from an old BIS computer network that had been infected by a virus to a new, uninfected network. Conrad was also to ensure that the transferred files were free of viruses and, in some instances, retained the full functionality of the files that had resided on the old network. According to court records and evidence presented at trial, while serving as the project manager for the data migration project, Conrad solicited and received bribes from James Bedford, a Virginia businessman, in return for steering a lucrative subcontract and contract to perform the data migration work to companies owned in whole or in part by Bedford. One of Bedford’s companies made $208,000 in payments to a restaurant business owned by Conrad, and many of these payments were concealed through false and fictitious invoices created by Conrad. The fake invoices made it appear that Conrad’s restaurant business had performed various services for Bedford’s company, when in fact no such services had ever been provided. Bedford’s company also arranged for various subcontractors to perform over $7,000 worth of free renovation work at Conrad’s residence. Bedford has pleaded guilty and is scheduled to be sentenced on June 30, 2017. Conrad faces a maximum of 20 years in prison when sentenced on September 8. Actual sentences for federal crimes are typically less than the maximum penalties. A federal district court judge will determine any sentence after taking into account the U.S. Sentencing Guidelines and other statutory factors. 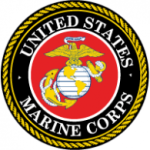 A former Marine Corps captain who served as a contracting officer has been sentenced to 37 months imprisonment, followed by 3 years of supervised release. David G. Liu was charged with Conspiracy to Violate the Procurement Integrity Act, a charge he plead guilty to earlier this year. During the offense period, Liu served at the Combined Joint Task Force-Horn of Africa (CJTF-HOA) in Djibouti, Africa. 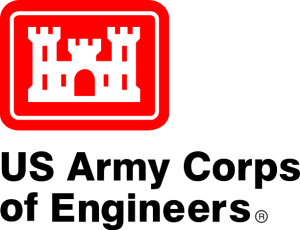 As a contracting officer, LIU was entrusted to evaluate bid proposals from potential suppliers and to award government contracts that were the most appropriate and advantageous for the needs of CJTF-HOA. A Federal investigation into Liu’s activities revealed that from September 2012 until January 2013, he and two government contractors conspired to exchange and use protected procurement information of competitors for the purpose of mounting successful bids for a $495,000 Blanket Purchase Agreement (BPA). The BPA was established by the U.S. Navy for the procurement of multimedia services in Somalia. The investigation revealed that Liu was closely associated with the contractors and sought to abuse his position of trust as a Marine Corps contracting officer for his and their personal gain. In furtherance of the conspiracy, Liu unlawfully provided the contractors with protected bid information submitted by competing firms that were actively seeking BPA awards. The contractors, in turn, used the stolen bid information to craft their own proposals and undercut the competitors’ pricing and other terms. After all the bids were submitted to CJTF-HOA and were pending Liu’s evaluation, he solicited his co-conspirators to assist him in paying down a debt he owed to a supplier on an unrelated and unauthorized “side deal” for two government vehicles. The scheme included Liu’s creation of a sham government contract for the vehicles worth $28,000, the awarding of the contract to the Ugandan contractor, and the diversion of the resulting government funds back to Liu through a complex series of pre-ordained international wires and withdrawals. The government contractors with whom Liu conspired were based in Jacksonville, North Carolina, and Kampala, Uganda, respectively. Contractor Monroe Allen Stueber, Jr. pled guilty to one count of unlawfully obtaining procurement information on October 15, 2015 and was sentenced to 3 years of probation on February 23, 2016. Investigation of this case was conducted by the Naval Criminal Investigative Service (NCIS) and Defense Criminal Investigative Service (DCIS), with the assistance of the Federal Bureau of Investigation.